What are the best mutual funds for retirement? For each person, retirement looks different because there are several factors to consider, such as your income need, alternative sources of income (i.e. Social Security, Pension or part-time job), life expectancy, risk tolerance and more. However, each case has some general guidelines in common for investment and savings needs. For example, people in retirement are typically in a period where they are withdrawing from their life savings, rather than adding to it. Also, as in the years leading up to retirement, retirees need to be careful to select the best investments for their particular needs. However, in retirement, these investments are not as much for growth as they are for preservation and income. Therefore investing in retirement is a delicate balancing act but it can be done successfully if some key points are remembered and smart tactics are applied. The best mutual funds in retirement are those that can keep pace with inflation but keep risk to minimal levels while providing a total rate of return that can assure a high probability of your money lasting longer than you. Before entering retirement you will need to plan for a withdrawal rate. A general rule of thumb is to begin with a rate of 4.00%. For example, if you need $40,000 per year from your retirement account(s) to provide or supplement income, you would need a starting portfolio value of $1,000,000 (40,000 is 4% of 1,000,000). 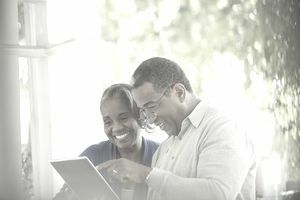 The 4% rule also makes certain assumptions about average rates of return and inflation and suggests that the 4% withdrawal rate can provide the retiree a high probability that their retirement portfolio account value will not decline to zero in their lifetime, the most common assumption being 30 years from the start of retirement. Following the $1 million example above, the retiree would withdraw $40,000 in year one of retirement. If their assumption for annual inflation were 3% per year, they would withdraw $41,200 ($40,000 + 3% OR $40,000 + $1,200). Some mutual funds, typically categorized as "retirement income funds" or "income replacement funds," are designed with the retiree in mind. In general, the best retirement income funds have a fundamental objective that balances preservation of assets, income, and growth, prioritized in that order. For example, the highest priority is to achieve positive returns (above zero percent); the second priority is to achieve returns at or above inflation; and the lowest priority, which is not really a "goal", is to grow the assets. This is because growth significantly above the rate of inflation would require too much exposure to market risk, which increases the odds of loss of principal. Examples of retirement income funds include Vanguard Managed Payout Distribution Focus Fund Investor Shares (VPDFX), which has a moderate risk profile, and Fidelity Freedom Income Fund (FFFAX), which has a conservative risk profile. Although past performance is never a guarantee of future results, both funds have trended long-term returns at or above 4.00% average on an annualized basis. Like retirement income funds, balanced funds are mutual funds that provide a combination (or balance) of underlying investment assets, such as stocks, bonds, and cash. Also called hybrid funds or asset allocation funds, the asset allocation remains relatively fixed and serves a stated purpose or investment style. For example, a conservative balanced fund might invest in a conservative mix of underlying investment assets, such as 40% stocks, 50% bonds and 10% money market. You can also find balanced funds that are moderate (medium risk) or aggressive (higher risk) that fit your needs. Since the general fixed income strategy is to generate a reliable source of income, investment types can include bond mutual funds, money market funds, Certificates of Deposit (CDs) and/or various types of annuities for the fixed income portion of your portfolio. Income is generated by more than just fixed income bonds and bond funds. Mutual funds that invest in dividend-paying companies can be part of a smart retirement portfolio. Dividends can be received as a source of income or they can be used to buy more shares of the mutual fund. Most investors who buy dividend mutual funds are usually looking for a source of income, which is to say that the investor would like steady and reliable payments from their mutual fund investment. Money market funds do not offer high yields but they can be an important piece of a retirement asset allocation. You will likely use the money market option provided by the brokerage firm or mutual fund company that holds your retirement account(s). You may also shop the best rates on a website like Bankrate.com. Generally, it is best to use municipal money market funds for taxable accounts, such as regular brokerage accounts, and taxable money markets for tax-deferred accounts, such as IRAs. This is especially true for people in higher tax brackets. A 'CD Ladder' is a savings strategy where a saver or investor buys Certificates of Deposit (CDs) in increments over time. Similar to dollar-cost averaging with stocks and mutual funds, an investor, for example, will buy a fixed dollar amount on a monthly or quarterly basis. A CD laddering strategy is just as it sounds: A saver "builds" a ladder of CDs one rung at a time by purchasing CDs consistently and periodically over a planned period of time. The best time to use the CD ladder is when interest rates are low and are expected to rise in the near future. For example, a CD investor will not want to tie up all of their savings in one low-rate CD for too long. If interest rates are expected to raise the CD investor will be able to renew at higher rates as each individual CD in the 'ladder' matures. Building your own portfolio of mutual funds for retirement is the same as building a portfolio for any other reason: You need to have a smart mix of diverse mutual funds that can also achieve your investment objective, which is to provide a transition into retirement and then last for many years to follow. Consider using a Core and Satellite Portfolio structure, which is one that builds around one core holding, such as a retirement income fund, balanced fund or index fund. The core may represent the largest portion, such as 30% or 40% of your total portfolio. You can then add the supporting "satellites," which may represent 5% to 10% each. In general, if you expect to be in a higher federal tax bracket in retirement, the Roth IRA is best. If you expect to be in a lower tax bracket, which is most common, the traditional IRA is best. If you will be in the same tax bracket, it doesn't matter which one you use. You may also consider using a regular brokerage account as an alternative. You may also use a combination of all three and don't forget about your 401(k)! Above all, knowing what federal tax bracket you will be in at the beginning of retirement will be your biggest challenge. It is also important to have the best asset location (knowing which account is best or worst for certain types of mutual funds).